I know the person who makes them. I was looking for essential oils of great quality and I also didn’t want to become involved in a multilevel marketing company. I tried these oils and they are fantastic. 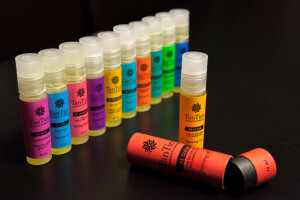 Go to the website TanTien Essential Oil Blends to purchase directly if you’re interested. You’ll be glad you did! Posted in Uncategorized at March 26th, 2015. No Comments. Everyone always asks me what the best mattress is. I believe your mattress should be medium-firm not too hard or too soft. It should have a pillow top or plush top so your body can sink into it but not too much. Your body parts should not push back into your body. It should just feel right. Here is a link to the eco friendly mattress store in Soho Keetsa.